A PEF (Pulsed Electric Field) processing system that reduces the high energy costs of dehydration and the extraction of valuable material from plant material by enabling the removal of intracellular fluids is available from Diversified Technologies, Inc. (DTI) of Bedford, Massachusetts. The DTI PowerMod™ PEF System for Dehydration and Extraction applies 1 to 40 kV/cm high voltage pulses for 2 to 20 microseconds which breaks cell membranes and releases intracellular materials. The system requires less energy for drying than thermal-based systems because the 20% of total water content contained within cells is liberated by electroporation. For extrac- tion processes, the access to intracellular materials produces higher yields. 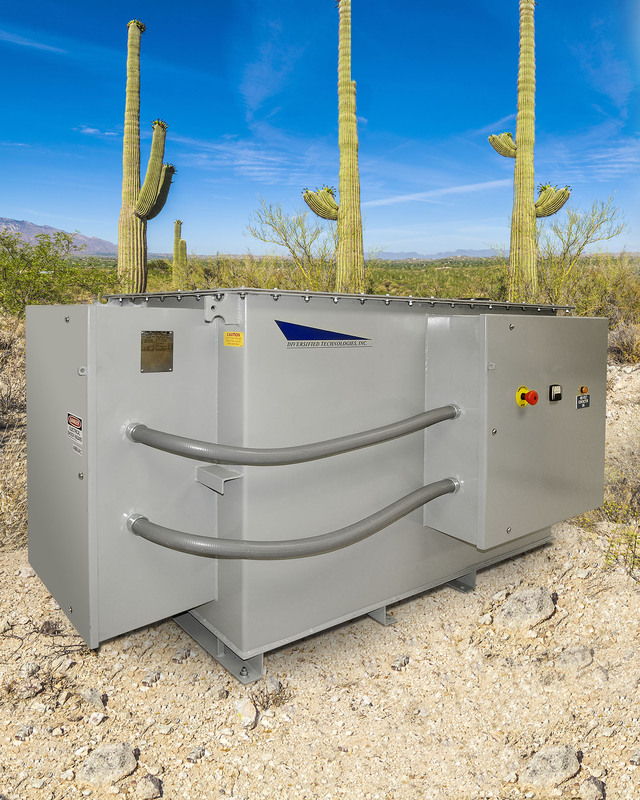 Consisting of a high voltage pulse modulator, power supply, and a treatment chamber, DTI PowerMod™ PEF Systems range from 50 to 600 kW. For drying, it is 30% faster than conventional systems and for juice extraction the system provides a 30% greater yield. Typical applications include fruits, vegetables, and the extraction of biofuels from algae. DTI’s PowerMod™ PEF System for Dehydration and Extraction is priced from $200,000.00 to $750,000.00, depending upon configuration.